sd01:43CIRCA 1940s - Excellent telegraph transmission comes from practice and feel in 1946, shown to you by an American serviceman operator. 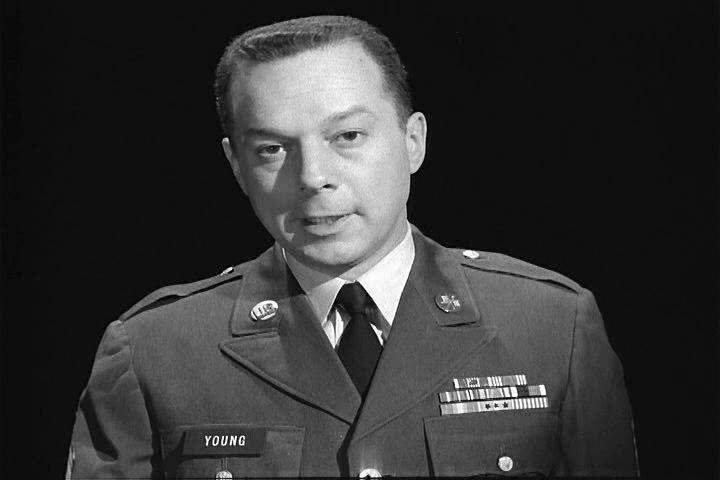 hd00:42CIRCA 1962 - A military officer gives a brief history of the NRA, and talks on its relationship with the army. sd00:32CIRCA 1970s - Broadcast journalist Charles Bishop Kuralt talks about prejudices against the Chinese, in a television studio, in 1972.
hd00:18Slow tracking shots of a young handsome man on a black backdrop. Serious, angry, and neutral facial expressions.